STAMFORD, Conn. – April 30, 2018 – The road to the Triple Crown begins this week, highlighted by NBC’s record live five-hour Kentucky Derby Day telecast this Saturday, May 5 at 2:30 p.m. ET. NBC Sports Group kicks off its 14 hours of Kentucky Derby Week coverage this Thursday, May 3, live at 4 p.m. ET on NBCSN. Saturday’s live Derby Day coverage begins at Noon ET on NBCSN. A jockey, trainer and owner will be wired-for-sound for final jockeys’ instructions and post-race reactions. Nick Luck hosts a feature on 2017 Breeders' Cup Juvenile Turf winner Mendelssohn, who is trained by Aidan O'Brien in the U.K.
COMMENTATORS: NBC Sports Group’s coverage of the Kentucky Derby features hosts Bob Costas , a 27-time Emmy Award-winner, and Mike Tirico; NBCSN host Laffit Pincay, III; analysts Randy Moss and Jerry Bailey , the Hall of Fame jockey and two-time Kentucky Derby winner; handicappers Eddie Olczyk and Britney Eurton , who makes her NBC Sports Group Triple Crown debut; reporters Donna Brothers, Carolyn Manno, and Kenny Rice ; and race caller Larry Collmus. Former U.S. Olympic figure skaters and NBC figure skating analysts Johnny Weir and Tara Lipinski reprise their roles as fashion and lifestyle experts along with NBC News weather anchor and correspondent Dylan Dreyer; and NBC Sports Group’s NASCAR features reporter Rutledge Wood returns. Tim Layden of Sports Illustrated will also contribute to NBC Sports Group’s coverage. The coordinating producer of NBC’s horse racing coverage is Rob Hyland , who has been a part of the network’s horse racing coverage since 2001. The Kentucky Derby is directed by Sunday Night Football and NBC Sports’ horse racing director, Drew Esocoff . The coverage on NBCSN is produced by Billy Matthews and directed by Pierre Moossa. The executive producer of NBC Sports and NBCSN is Sam Flood. MORE THAN 28 HOURS OF TRIPLE CROWN COVERAGE: NBC Sports Group will present more than 28 hours of Triple Crown coverage this season from Churchill Downs, Pimlico and Belmont Park, including live racing from all three tracks prior to the Triple Crown races. This marks the eighth consecutive year that all three Triple Crown races will air on NBC. For the first time, NBCSports.com and the NBC Sports app -- NBC Sports Group’s live streaming product for mobile devices, tablets, and connected TVs -- will livestream the Kentucky Derby Draw tomorrow, Tuesday, May 1, at 11 a.m. ET. A digital-only 10–minute “Ultimate Kentucky Derby Primer” featuring Randy Moss, Jerry Bailey and Eddie Olczyk discussing the greatest Derby races of all time, previewing this year’s race, and breaking down the odds, with be available Thursday on NBCSports.com and NBC Sports app. On Derby Day, the NBC Sports app will livestream red carpet coverage beginning at Noon ET, and will offer a mosaic of four different camera angles, including the NBC broadcast, a grandstand camera, an overhead camera, and an infield camera. During the race, the infield camera will be replaced by “Collmus Cam” – Larry Collmus’ Kentucky Derby race call live as streamed by a camera in his booth at Churchill Downs. NBC and NBCSN coverage will be streamed on NBCSports.com and the NBC Sports app via “TV Everywhere,” giving consumers additional value to for their subscription service, and making high quality content available to MVPD customers both in and out of the home and on multiple platforms. The NBC Sports app is available on the iTunes App Store, Google Play, Windows Store, Roku Channel Store, Apple TV and Amazon Fire. NBC Sports Radio will present 2.5 hours of live Kentucky Derby coverage beginning Saturday, May 5 at 5 p.m. ET, and offer a two-hour pre-race show hosted by Mike Penna on Derby Day beginning at 3 p.m. ET. For more information on programming, please contact Westwood One at NBCSportsRadio@westwoodone.com. For a complete schedule of shows, bios, exclusive audio content, and a list of radio stations airing NBC Sports Radio, log on to NBCSportsRadio.com. Following this weekend’s Kentucky Derby, “NBC Sports Championship Season” continues with live coverage of THE PLAYERS Championship next Thursday, May 10, through Sunday, May 13, on NBC and Golf Channel. First- and second-round coverage begins at 1 p.m. ET on Golf Channel on May 10-11. NBC airs third- and final-round coverage beginning at 2 p.m. ET on Saturday, May 12 and Sunday, May 13. In addition, NBC Sports Group’s Derby Coverage on Saturday will include an interview with top-ranked pro golfer Justin Thomas. NBC SPORTS GROUP AND HORSE RACING: NBC Sports Group is the exclusive home to the most important and prestigious events in horse racing, including the Triple Crown and the Breeders’ Cup, Pegasus World Cup Invitational, Dubai World Cup, and the Epsom Derby and the Royal Ascot meet. 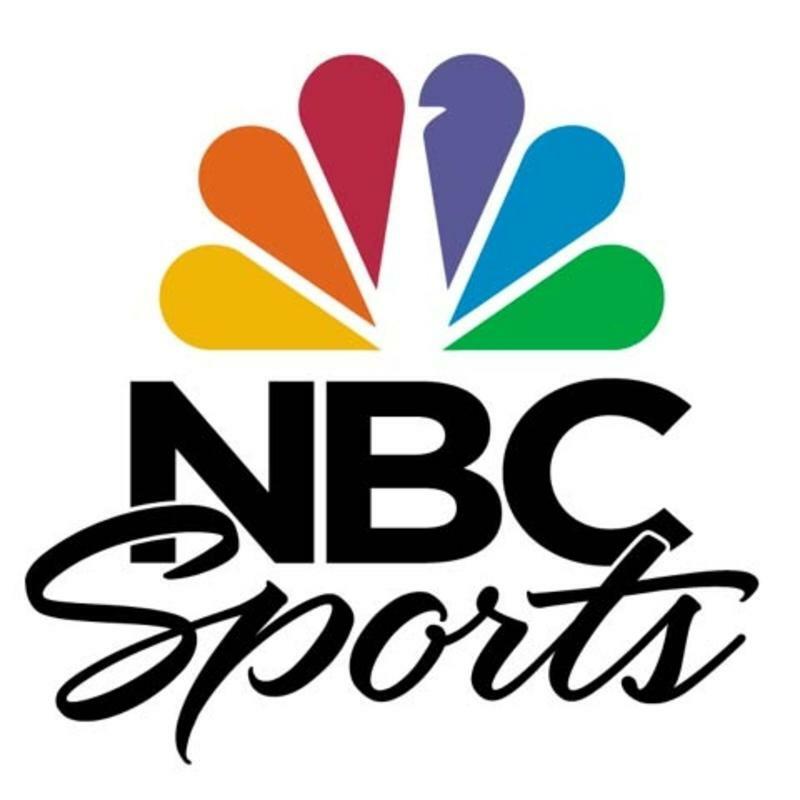 NBC has been the exclusive home of the Kentucky Derby and the Preakness Stakes since 2001, and the Belmont Stakes since 2011, when NBC Sports Group reassembled the Triple Crown. The 2017 Kentucky Derby posted a Total Audience Delivery (TAD) average of 16.5 million viewers across NBC and NBC Sports Digital platforms – marking the largest Kentucky Derby audience since 1989 .